In case you missed it, I introduced a little series I’m starting and this is instalment two (you can see the brand I chose for ‘A’ here) and one of my all time favourite brands. When it comes to which brands I’m choosing for the first round of beauty A-Z there’s nothing more to it than my gut instinct and the first brand that comes to mind. 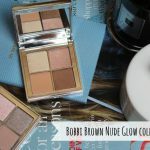 For this one it was a close call between three brands actually, Bobbi Brown, Bourjois and Benefit – all three brands where there are tons of products I love for many different reasons. But I decided to go with Bobbi for round one (I may do the A-Z over a few times as there are plenty of brands out there!) 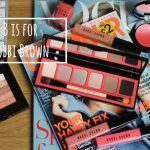 – so for today, B is for Bobbi Brown. 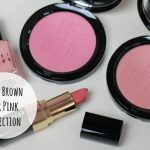 Ok, so a little about Bobbi Brown – or Boobie Brown as I often mistype it. 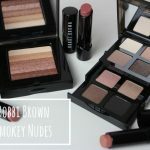 Bobbi Brown is the brands that RULES the classic neutrals offering. 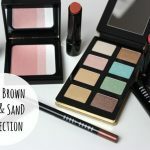 Ok, so Urban Decay has it’s Naked franchise, but Bobbi is the brand that collection after collection, launch after launch, manages to do something lust-worthy with variations on the neutrals offering. The pictures above is from the peachy/coral collection earlier this year and the palette is one on regular rotation for me. Standout product wise for the brand there are a few but the first I wanted to mention is the nail varnish. 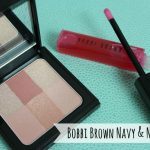 Maybe not the first thing to come to mind when you think Bobbi Brown – but the nail shades are seriously some of the best I have ever tried. Amazing quality- they always apply like a dream and last really well. The latest is a burgundy shade from the Scotch on the Rocks collection (post coming soon) that is just gorgeous and definitely a favourite classic deep red from now on. 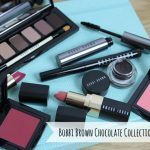 In the gallery above you can have a little peek at a selection of the images/posts I’ve written about Bobbi Brown products and collections and if you want to read more then take a look HERE to see all the past Bobbi Brown posts. On the product front again – from the classic line there are a couple of stand out products for me that I just love. 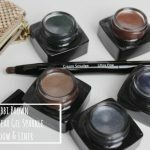 First is Cement eyeshadow – a taupe/grey shade that I love using for my brows. It’s the perfect ‘shadow’ shade rather than ‘fake hair’ shade and is great for blondes. The angled brow shading brush is also a long term love of mine. Then there’s the gorgeous bright pink pop of colour that is Peony blusher. This is one of the few blushers that I can genuinely use year round and it always suits. A gorgeous shade. 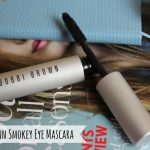 I also love the Smokey Eye mascara and have worked my way through at least two tubes of this since it launched. 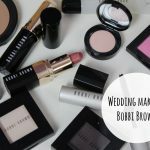 What about you – what are your loves from Bobbi Brown or is it maybe a brand you haven’t loved/tried all that much yet? Also…any suggestions for upcoming Beauty A-Z brands let me know! Love this series! Love the look of the eyeshadow quad palettes, definitely on my Xmas wish list! I really want to try their pot rouge! I’d be happy with any of these in my stocking this year!